The Republic of Cuba is a beautiful island country in the Caribbean. The nation of Cuba consists of the main island of Cuba, the Isla de la Juventud, and several archipelagos. Havana is the largest city in Cuba and the country's capital. Santiago de Cuba is the second largest city. To the north of Cuba lies the United States and the Bahamas, Mexico is to the west, the Cayman Islands and Jamaica are to the south, and Haiti and the Dominican Republic are to the southeast. In 1492, Christopher Columbus found and claimed the island now occupied by Cuba, for the Kingdom of Spain. Cuba remained territory of Spain until the SpanishAmerican War ended in 1898, and gained formal independence from the U.S. in 1902. Between 1953 and 1959 the Cuban Revolution occurred, removing the dictatorship of Fulgencio Batista, and installing a government led by Fidel Castro. Cuba is home to over 11 million people and is the most populous island nation in the Caribbean. Its people, culture, and customs draw from diverse sources, such as the aboriginal Taino and Siboney peoples, the period of Spanish colonialism, the introduction of African slaves and its proximity to the United States. Although we have been to Cuba many times since 1996, we returned in 2009 and met with an apostolic group of pastors. We spent much time getting to know them and establishing a relationship with them. They are a precious group of men and women who love God with all their hearts, and are hungry to be mentored and learn foundational principles in apostolic doctrine. The Lord has given us a large vision for Cuba which we cannot fulfill by ourselves. It is going to take others in the body to come alongside us and help us with the burden. That the trial of your faith, being much more precious than of gold that perishes, though it be tried with fire, might be found unto praise and honor and glory at the appearing of Jesus Christ: Whom having not seen, you love; in whom, though now you see him not, yet believing, you rejoice with joy unspeakable and full of glory: Receiving the end of your faith, even the salvation of your souls." 1 Peter 4:12-13: "Beloved, think it not strange concerning the fiery trial which is to test you, as though some strange thing happened unto you: But rejoice, since you are partakers of Christ's sufferings; that, when his glory shall be revealed, you may be glad also with exceeding joy." The work in Cuba is strong, healthy and growing. Many people continue to be saved, baptized, delivered from various sickness and diseases and trained. We have continued to print our books this new year 2018 in large quantities and Pastor Ivan and his people are distributing them throughout the Eastern and Central parts of Cuba. We just finished conducting another Conference in the early part of March in Bayamo, Cuba. There were 80 pastors and leaders attending the training sessions and over 250 people in attendance during the evening meetings. There were also in attendance several leaders of different Christian Denominations, including the heads of two International Ministries who also received copies of our training materials. A large Coalition of Churches from the Province of Matanzas who were present during this conference, also opened the doors for us to hold future conferences there. In the month of July we printed another batch of books in Cuba and conducted another Conference in the Central part of Cuba province of Matanzas. This was one of the most difficult areas to work in as only a small group of churches participated. A lot of intercessory prayer went up during this time. As in the past conferences, the people were bused to the conference, fed and housed for three days where they received much teaching and training using our books as texts. Many more books were distributed and evangelism done during the Conference. 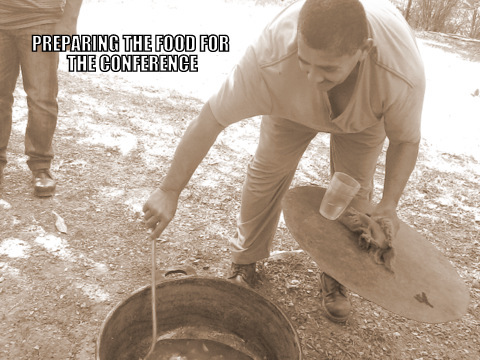 Many people were trained and equipped at this conference. 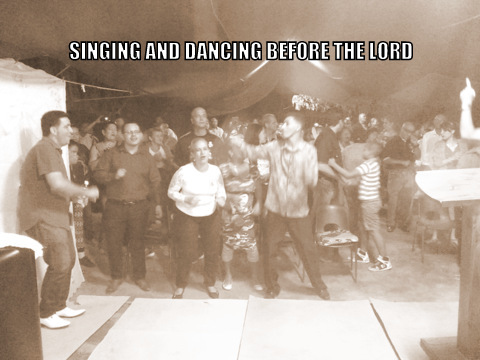 According to Pastor Ivan there were many salvations and several miracles that took place during the conference. There was a strong opposition from local churches which forced them to change the location where the conference was originally planned to take place. 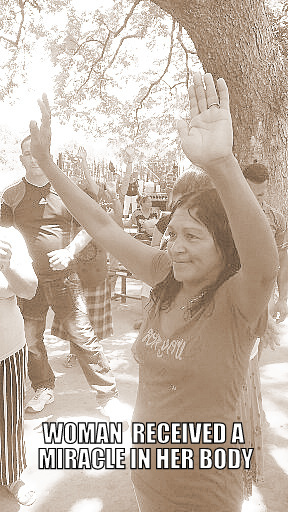 Pastor Ivan recently told me that since the conference that was held in Matanzas in July of this year where many pastors received our books and training, a revival has now broken out and over 40 people have already been baptized in water with many receiving healings and deliverance. See photos for the month of December below. 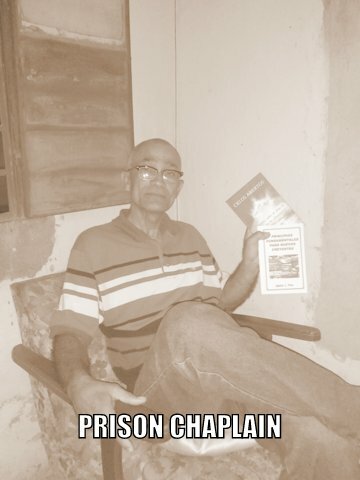 We are in the process of printing and distributing many books in the prison located in the Eastern part of the nation. We will not give out specific locations, names or other details in order to protect those who are involved in this work. Prisons are places of extremely low access in Cuba and therefore extreme care must be exercised. Please keep this work in your prayers at all times. We will try to have additional photos of this effort posted whenever they become available. Our vision is to flood Cuba with our books and training materials so that they are better equipped to win the lost to Jesus Christ and disciple them to do the same. We will continue to work with them to conduct future Conferences througho ut the Island as the LORD continues to enable us. Please pray for Cuba as there are some important changes taking place in the government at this time. It is our prayer that in the near future, the door to preach the gospel there will be totally opened so that all of Cuba will come to know Jesus Christ as LORD. Acts 14:21-22 "And when they had preached the gospel to that city, and had made many disciples, they returned to Lystra, and to Iconium, and to Antioch, confirming the souls of the disciples, exhorting them to continue in the faith, and that through many tribulations we must enter into the kingdom of God." The work in Cuba continues strong. Many people are being saved, baptized and delivered from various sickness and diseases. 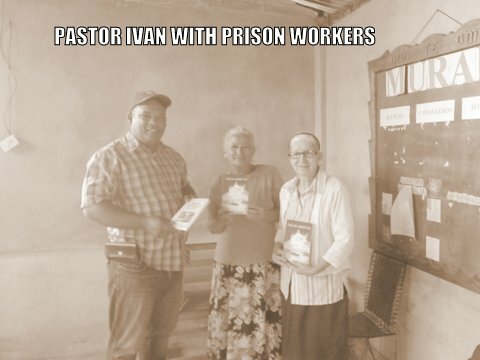 We continue to print our books which have been translated to Spanish in large quantities and Pastor Ivan and his people are distributing them throughout the Eastern parts of Cuba. Our vision is to flood Cuba with these training materials so that they are better equipped to win the lost to Jesus Christ and disciple them to do the same. They are now trying to purchase a piece of property where they can have their meetings. We will continue to help them as the LORD continues to enable us. We have received many reports from them expressing their gratitude for putting these materials in their hands so that they are able to grow and mature spiritually; be trained in the art of intercessory prayer and learn how to preach the gospel of the Kingdom with signs and wonders following them as it is written in the Word of God. We are now preparing a Conference on Intercessory Warfare sometime this year where many pastors and their churches will gather to receive training on intercesson and warfare. 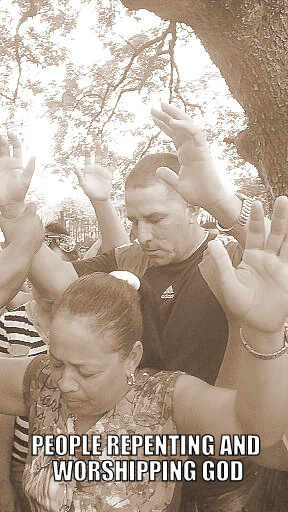 There is a humger arising in the the people of Cuba for the presence of God. 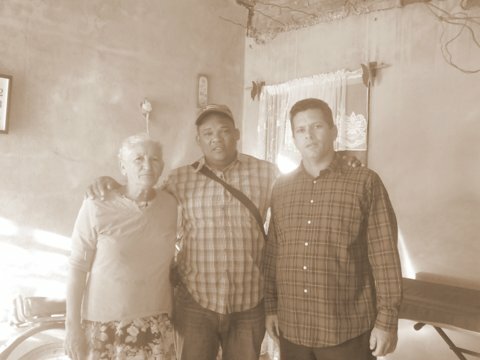 This is taking place throughout the Island of Cuba, but especially in the eastern province of Oriente where Pastor ivan is leading this effort. We hosted a Conference in the city of Baracoa, Oriente for Pastors in the month of July where more than 150 pastors came from all over the eastern part of Cuba to be a part of it. 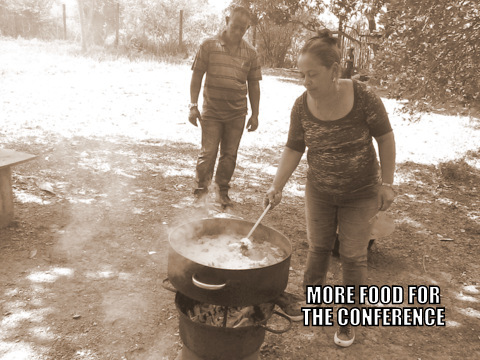 They were brought into the Conference in buses, fed and housed for three days. Several hundred of our books were distributed to the pastors attending. There was much evangelism done before and during the Conference in an area that was hit by a hurricane last year. Many people were saved and set free. 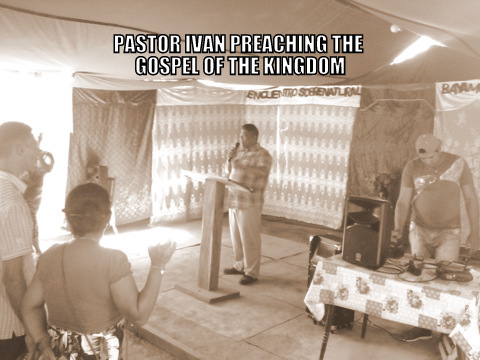 Recently Pastor Ivan has reported that there was a breakthrough in the city as a result of the conference, and a revival has broken out in that city. All those attending the conference were impacted, and are asking for another conference where the teachings contained in our books are taught and applied. Pastor Ivan went on to say that the revelation contained in the books that was taught during the conference, has caused an awakening in that city. 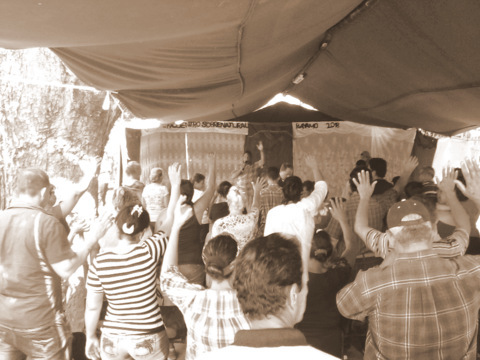 There was a second Conference that took place in Bayamo, Oriente in the month of August where 200 pastors attended from differenct parts of Cuba. Everything was done similar to the first one that took place in Baracoa a month earlier. 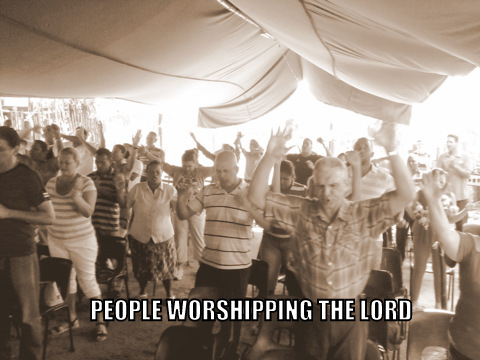 Many people were saved, delivered and set free from various things was reported by Pastor Ivan. In the Month of November we had a third Conference closer to the city of Havana, Cuba's capital. We printed hundreds of our spanish books that were distributed among the leaders attending the conference for training purposes. Pastor Ivan says that the books are considered as good as gold by the churches and Christian leaders in Cuba. We will keep you updated on the latest news coming out of the Island of Cuba regarding the underground church there. 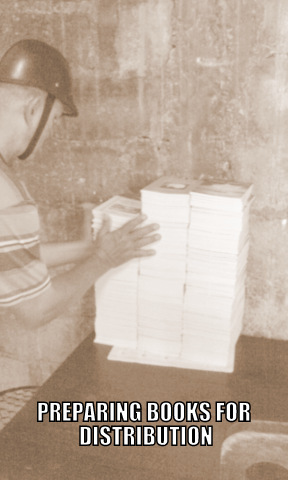 Many different church denominations like Open Bible, Assemblies of God and others have have been blessed through our printed books in the Island of Cuba. The next Conference will probably take place sometime in late February or March of next year 2018. We would like to take this moment to thank those of you who are praying and helping us to be a blessing to the people of Cuba, as well as other countries where we do mission work. God Bless you in a special way. Matthew 10:7-8 "And as you go, preach, saying, The kingdom of heaven is at hand. Heal the sick, cleanse the lepers, raise the dead, cast out demons: freely you have received, freely give." Earlier this year with the help of Brother Steve, we began translating our training resources to Spanish. Although it took a while, we were able to successfully translate our three books: Open Heavens, Signs and Wonders and Foundational Principles For New Converts and Believers. 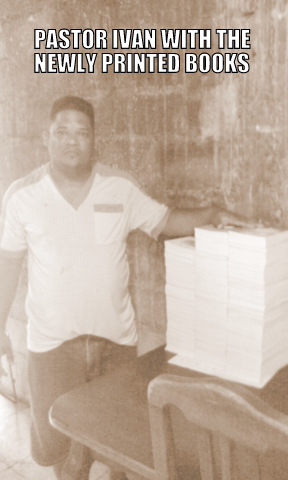 We had successfully printed a couple of hundred copies of the Foundational Principles Book in the capital of Cuba earlier in the year, but it became increasingly difficult to continue to do it there. In the month of October copies of our three books were sent to Pastor Ivan in the eastern part of Cuba to be printed there. We have been able to successfully print several hundred copies of all three books. 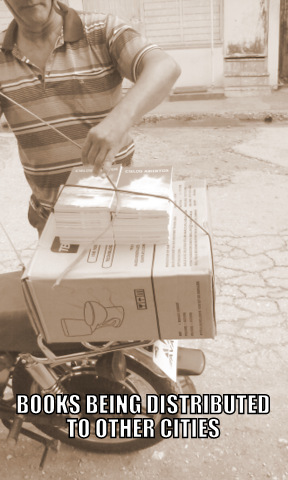 These books are now being distributed to the churches in the eastern part of Cuba in need of training materials. We believe that we are in a very special season of harvest. 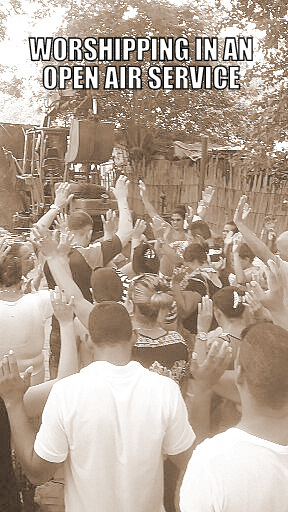 The people in Cuba are very hungry to learn, be trained, equipped and used of God to reach the lost. We are trying to put our training resources into theirs hands to achieve just that. They are so thankful to be able to have these books in their possession. We will continue to print these books and to disseminate them throughout the country for the purpose of training and establisbing new disciples in foundational teachings of the Word of God and the Gospel of the Kingdom. We received some photos with words of appreciation from some of the pastors and leaders in the Church in Bayamo. Click Here to View. I want to take this time to thank those of you who have been faithful with your prayers and financial support. Without you, we would not have been able to accomplish these things. Please pray with us for the Church in Cuba as they endeavor to fulfill the great Commission under very difficult conditions. May the LORD of the Harvest Bless you and reward you for all you do. Shalom.